Ashgabat will host a regional meeting on the Aral Sea problem, Trend reports citing the Turkmen Foreign Ministry. 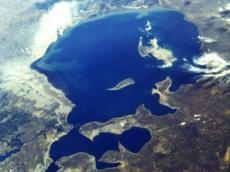 It is expected that the project proposals will be sent to the Executive Committee of the International Fund for Saving the Aral Sea (IFAS) until Dec. 30. Established in the 1990s by Kazakhstan, Kyrgyzstan, Tajikistan, Turkmenistan and Uzbekistan, IFAS aims to finance joint projects and programs to save the Aral Sea and improve the environmental situation in the Aral Sea region. IFAS was granted an observer status in the UN General Assembly in December 2008. Ashgabat put forward earlier an initiative to develop a special UN program for the Aral Sea.